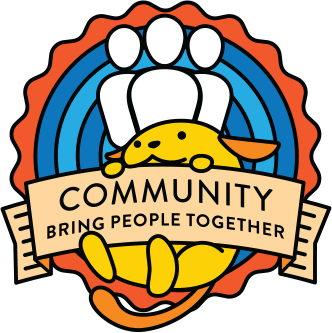 Meetup organizer newsletter suggestions for September? In Seville, Spain, in addition to the usual meetings of papers, we hold meetings on the 10th of each month in working lunch format. We started doing it because in the meetings half of the people go after the presentation and they do not stay to chat with a beer or soda. And we saw that it was one of the most interesting things to be united as a community. So we started to have this format only to eat and talk at noon, during work hours. Thus we do not occupy personal hours, we eat as we do every day, we know new bars (in Seville there are many bars) and we gather that it is the most productive. In Alicante, Spain, we made the meetups by topics. We began with “How to make your web”, where we explain in 5-6 meetups the basics of WordPress. Then we are launching three new topics, like “Optimize your web”, “Monetize your web” and “Improve your web”. All the meetups are included in one of this topics, and now we make one of one topic, the next month with another topic, etc. Every four-five meetups, we announce a special event called “C’mon and asking” where people who go past meetup, come in this one to show their projects in WordPress. Thanks so much and sorry for my English! On St. Albans we do not do talks. We use the Lean Coffee format for discuss about different topics. We started leaving the topic completely open and now we select one topic for each month so we discuss about that (still using the Lean Coffee format). You can check out meetups here. The thing we like about this format is that everyone gets involved and offer what they know/think about the different topics. When we are more than 12, we split on smaller groups to keep one conversation. Hope it helps to other meetups if they are struggling to get speakers. Blurb on what it is and why they want it. Hi! In the local WordPress group in Irun (Spain) we alternate the meetings in the morning and in the afternoon. It is usual for meetup groups to meet in the afternoons, but not so much in the mornings. But some of our users, especially those who are freelances or have their own business, prefer it because it helps them to better reconcile family life. The participation is quite similar in both sessions. BTW in the morning sessions there are more women than in the afternoon sessions.